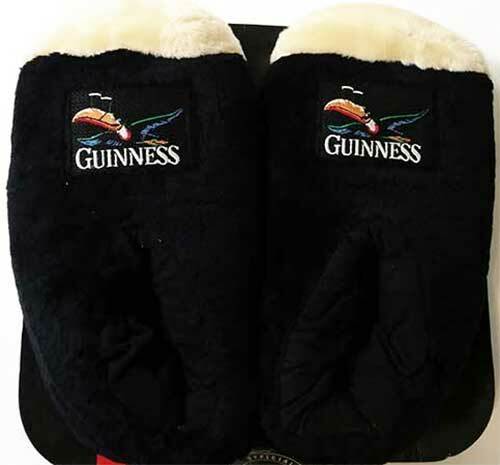 This Guinness gift item is a retired design and is limited to stock on hand. 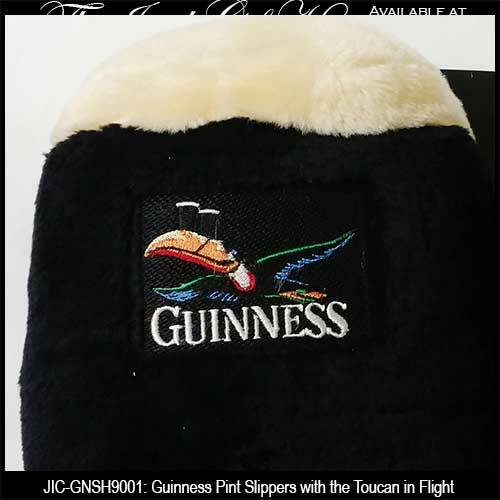 These pint shaped Irish slippers are embroidered with the Guinness toucan in flight and they are black with cream accenting. The Guinness slippers, from The Irish Gift House, have a textured bottom and the one size fits most adults.